The Middle East is a truly stunning part of the world, with a range of historical monuments, traditional markets, colourful cultures and the most befitting adventure opportunities to enjoy. A vacation here includes some of the most astounding experiences to cherish for a lifetime. With Brightsun India you can book cheap air-tickets to Middle East countries all year round and fly to your dream destination. Every corner of this region speaks ancient grandeur, owing to a rich wealth of World heritage Sites. Of them, the mystical Pyramids of Giza in Egypt rank among the Seven Wonders of the World. 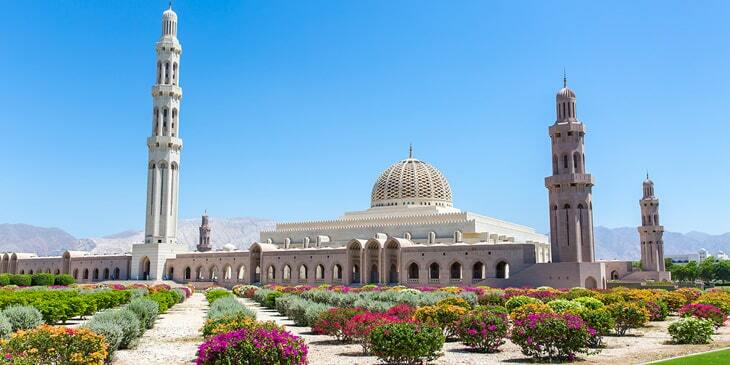 Other iconic ancient sites in the Middle East include the charming Acre Old Town in Israel, the stunning Sultan Qaboos Grand Mosque in Oman and the breath-taking Al Fateh Grand Mosque in Bahrain. Destinations in the Middle-East are generously studded with an array of scenic attractions, as well as rich cultures and utmost hospitality and warmth from locals. Abu Dhabi is amongst the world-class cities of the Middle East, boasting a fascinating cultural heritage, splendid architecture, chic restaurants and upscale shopping outlets. Recently emerged as the fastest growing cosmopolitan city, Dubai astonishes its visitors with incredible skyscrapers, sweeping sand dunes, beautiful beaches and artificial islands. Then there’s Bahrain, an archipelago of 33 Gulf islands featuring strong Arabian influences when it comes to cuisines and cultures. Another delightful Middle East destination is Tel Aviv, home to an array of beautiful parks including Israel’s largest park Hayarkon Park, as well as charming local markets, imposing museums and distinct cultural neighbourhoods. In recent years, the Middle-East has gained popularity amongst adventure seekers who take delight in thrilling activities centered around natural and architectural wonders, such as bungee jumping, trekking craggy mountains, rock climbing, sky diving at the Palm Zone in Dubai and high speed driving at Ferrari World in Abu Dhabi. Besides elevating your spirits with an abundance of exhilarating activities, the Middle-East will also satisfy all of your gastronomic desires with its mouth-watering traditional cuisines. This region of the world will truly make you fall in love with Arabian flavours and the use of sesame seeds, olives, mint and honey in popular dishes. If you wish to have these amazing experiences on your holiday, then book flights to Middle East with Brightsun and get set go! Brightsun Travel are a well-established company providing its customers with an extensive range of travel related services. Whether it’s booking a domestic flight or planning a luxurious international holiday, Brightsun’s team of dedicated travel professionals are at your service 24/7. The company was established in 1986 and over the years has flourished into a successful global business. In addition to two offices in Gurgaon, Delhi, Brightsun Travel also operates from the United Kingdom with an office in Manchester and their head office in Hounslow, London. 1st Floor, Behind 32nd Milestone, Delhi - Jaipur Highway, Sector - 15, Part II, Gurgaon - 122 001 Haryana, India.